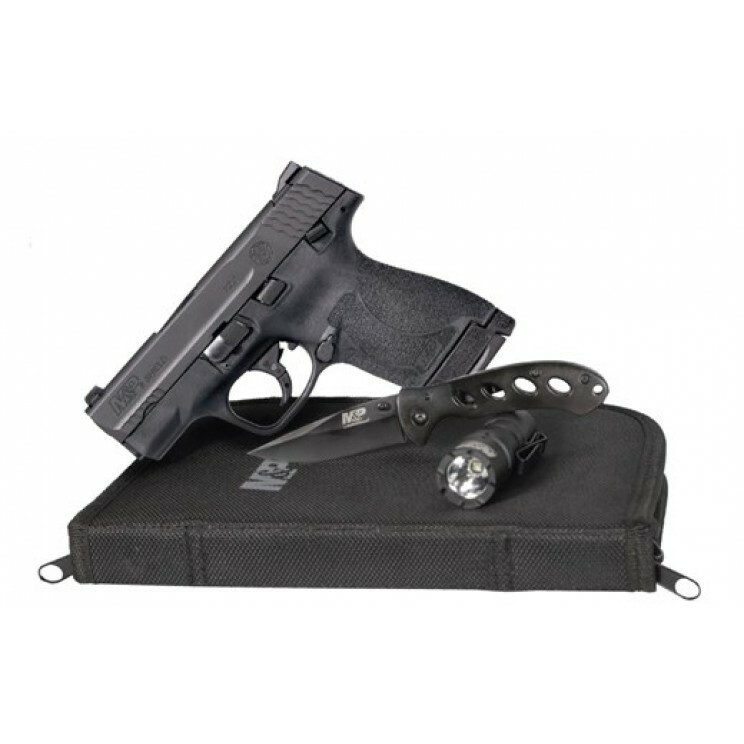 Smith & Wesson M&P Shield M2.0 with integrated laser, in a compact soft sided carry case EDC kit that holds an included Smith & Wesson knife, a Smith & Wesson flashlight and an extra magazine. Everything you need for everyday carry in one small package. M&P's patented take-down lever and sear deactivation systems allow for disassembly without pulling the trigger. Includes 2 magazines: One 7-rd. magazine, One 8-rd. extended trip magazine. Backed by Smith & Wesson's Lifetime Service Policy.